Luke Shaw's own goal means Manchester United have it all to do in Barcelona on Tuesday. 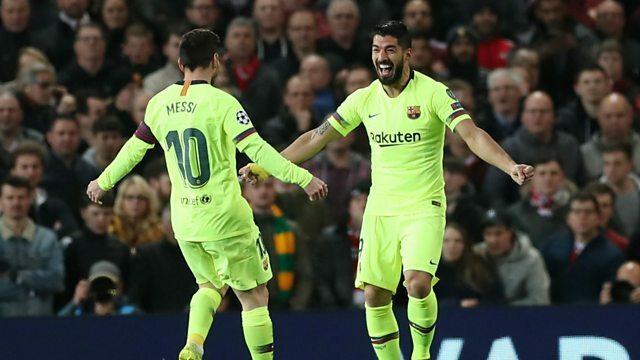 Manchester United draw another blank at home in the Champions League as Luke Shaw's own goal sees Barcelona take a 1-0 lead into the second leg on Tuesday. Mark Pougatch is joined by Dion Dublin and Guillem Balague for reaction from Old Trafford, plus you will hear the thoughts of manager Ole Gunnar Solskjaer. They also reflect on Ajax's 1-1 draw with Juventus in the other quarter-final and a dramatic night at the top of the Championship.